Gas prices across California have soared to record highs, shooting up 50 cents a gallon in just the last week. But even as prices are expected to rise slightly before falling, the spike is not likely to spread to other parts of the United States, experts say. The average price of a gallon of regular gas in California edged up another 0.3 cent Tuesday, according to AAA's latest reading, setting a record at $4.671. It stood at around $4.17 on Oct. 1 but has risen every day since then. The biggest increase was a 17-cent spike Friday, followed Saturday by a 13-cent increase. 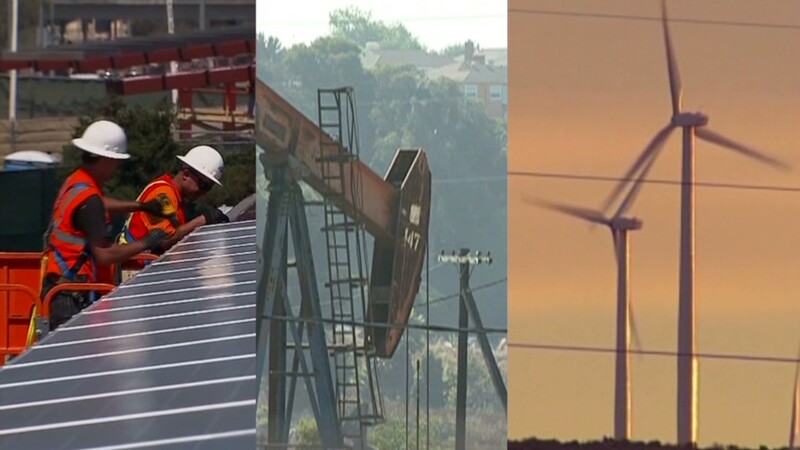 On Sunday, California environmental regulators, acting on a request from Gov. Jerry Brown, agreed to allow refineries to start making a cheaper, winter blend of gasoline as soon as possible -- a move that could solve shortages of the more expensive summer blend that sparked the price spike. Most of the country makes the transition from the cleaner summer blends of gasoline to the cheaper winter blends on Sept. 15. California, with warmer average temperatures and the nation's strictest air pollution rules, makes the transition six weeks later. But Kloza said supplies are so tight that those latest disruptions caused wholesale gas prices to spike by $1.12 a gallon to $4.15 a gallon between Sept. 25 and Oct. 4. He said the wholesale prices have already started to fall, dropping 47 cents on Friday and 10 cents Monday. "I don't want to say the coast is clear but there is a light at the end of the tunnel," Kloza said. California retail prices are likely to top out at about $4.75 a gallon and then start to decline, he said. 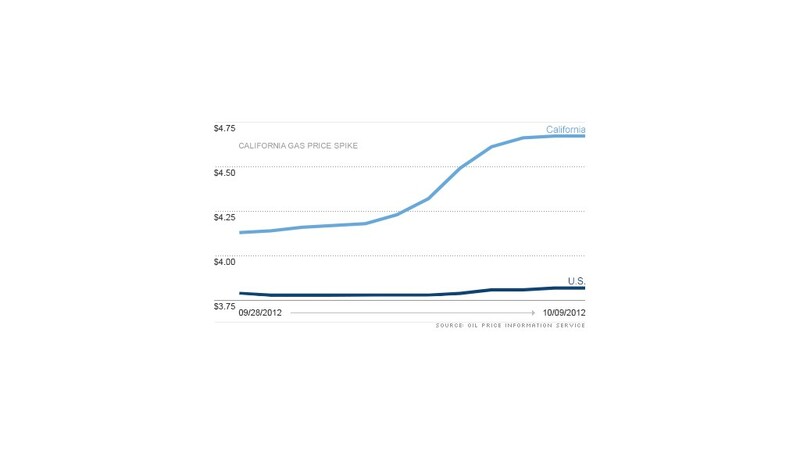 The spike in California comes while gas and oil prices have remained relatively stable in the rest of the country. The national average for a gallon of regular gas has kept to a narrow range of between $3.78 and $3.82 during the last week. It edged 0.3 cent lower Tuesday, remaining around $3.82 a gallon.